'When you lift do you get angry? How do you do it?'. Every woman I spoke to said that getting angry was important, but difficult. A recurrent theme was that getting angry wasn't something that ‘good girls’ were supposed to do. says a wise old lifting coach after it took three attempts to hit my clean and jerk at a recent lifting competition. An exchange among the men follows where they discuss what works best to get them angry before a lift. Yelling. Hitting. A well placed semi-insulting statement. I’m nodding away, not wanting to miss out on useful advice, but inside I’m not sure that someone slapping me would help. I tell them that I might cry if any of them had tried that with me. Yes, they all say, that’s the thing women have to get over – crying so much when they should be angry. My lifts are over, my body is done with its work, leaving my brain to run wild with questions and hypotheses. I recall a similar conversation with Commonweath lifting champ, Giles Greenwood, as we discussed busting through lifting plateaus. It was a brief sidenote; an informal observation he had that the women he was coaching had a confusing tendency to cry about feedback. I smiled, knowing full well that I was more than capable of crying over things that ought not be cried about – and I didn’t know why. How do you channel your anger as a motivating force? So, in hushed voices between the lifts for the rest of the competition, I conducted some little informal investigations, asking women, ‘Do you get angry? How do you do it?’. Every woman I spoke to said that getting angry was important, but difficult. A recurrent theme was that getting angry wasn’t something that ‘good girls’ were supposed to do. On the other hand, crying was perfectly acceptable – even more so that when someone yells at you, the first question a ‘girl’ asks herself is what she did to upset them. This idea fit with what I see working with clients: that we all have the same range of emotions, but how these are expressed is determined by the rules of our surroundings, family, society, and such. So while someone slapping me might make me angry, how I express that is probably to cry or worry about what I did to deserve that – a very feminine response. Well, that was one my theories. Correct or not, the point is that not all athletes are motivated in the same way. There might be a quite seductive idea that there is one way to get the best out of people, but this is far too simplistic to fit the complexities of emotion and motivation. These gender differences are interesting, even if they don’t apply to universally. Considering that in the UK we have a huge gender gap in sport with roughly 2 million less women taking part in regular sport compared to men, how we motivate women is a socially important topic. Now, admittedly, I am getting better at finding the needed aggression, thanks to being thrust into competitive situations in CrossFit. CrossFit, I believe, provides a gateway into sport for many women, who otherwise might spend their lives in spin class. Yet, the transition from average to athletic is complicated for women by the tendency to lack competitive and aggressive styles. In a recent study of CrossFitters, it was found that motivations for men and women were different. Women were more likely to be motivated by trying to avoid looking silly while men were more likely to be motivated by performing better than others. Neither of these approaches are very helpful for long term athletic excellence, even though those motivated by outperforming others (mostly the men in the study) might find more initial success than the women worried about looking bad. Importantly, researchers also established that motivations differ for those who’ve been doing CrossFit longer. Women with longer track records were more motivated by self improvement and mastering their own performance, and less bothered by looking silly. More CrossFit experience also made it more likely that competive motivations were relevant for both men and women. The takeaway messages for women, men and the coaches motivating them. You will progress when you can stop investing energy into worry about looking bad, silly or doing the ‘wrong’ thing. The researchers comment that women might feel more out of their comfort zone on the lifting floor compared to men, who might feel at home with the aggression and atmosphere of lifting, which certainly seems to reinforce what I learned at my lifting competition. 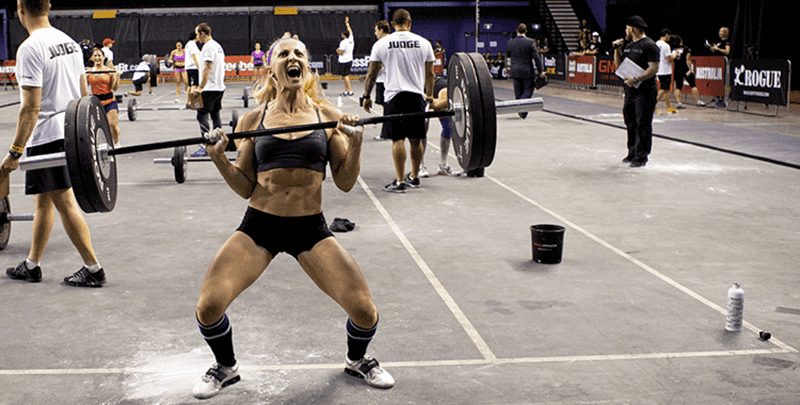 But I also wonder whether newcomers to CrossFit – male and female – might feel out of their depth, but that socially prescribed gender standards strongly influence how these discomforts are framed and dealt with behaviourally. Women cry and men fight. 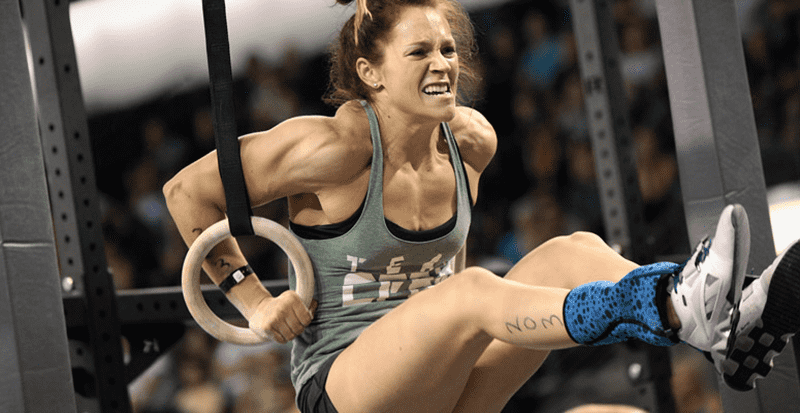 I would just encourage women to be ok with being competitive, even if it’s just for the WOD. We all need motivation! What drives you? 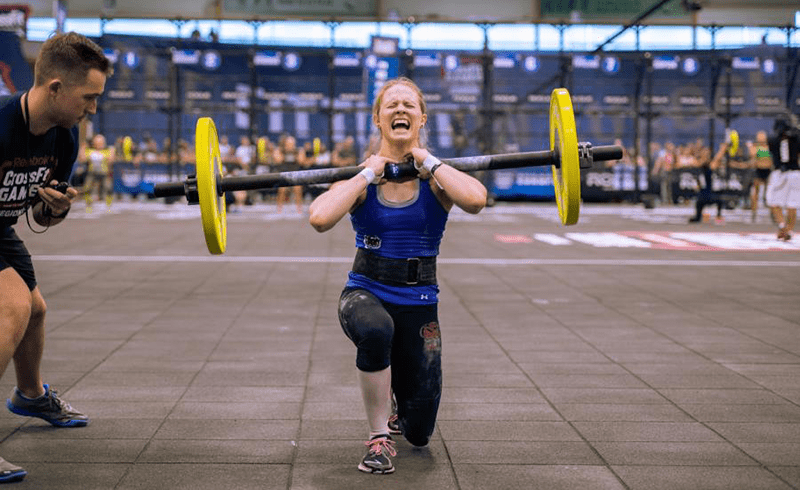 Competitive spirit will provide some initial impetus to your CrossFit journey, but as a long term source of motivation, it is limited in its usefulness. Being motivated primarily by out-performing your peers is linked with less effective strategies in dealing with set backs, failures, injury and impaired goal setting skills. A successful athletic career is totally dependant on the ability to sit back, analyse your own performance and make plans to address barriers. When the motivation is primarily about being top, injuries are ignored, long term planning takes a back seat and accurate analysis of performance is limited to a simple ‘win/lose’ dichotomy which is really pretty useless to long term athletic success. A one size fits all approach will miss the mark. While it is ultimately a noble goal to aim for all your athletes to be in it for the journey, to be motivated by their own personal best, and to not shy from healthy competition, getting them there will probably require a great deal of flexibility and creativity on your part. Sport England (2015). Understanding Women’s Lives: Re-designing and re-positioning sport and physical activity to engage women. Partridge, JA, Kanpp, BA and Massengale, BD (2014). An investigation of motivational variables in CrossFit facilties. Journal of Strength and Conditioning Research, 28(6), 1714-1721. Korviula, N, Hassmen, P and Fallby, J (2002). Self esteem and perfectionism in elite athletes: Effects on competitive anxiety and self confidence. Personality and Indvidual Differences, 32(2002), 865-875. Anderson, SS, Hansen, PO and Haerem, T (2015). How elite athletes reflect on their training: strong beliefs –ambiguous feedback signals. Reflective Practice, Vol 16 (3), 403-417.